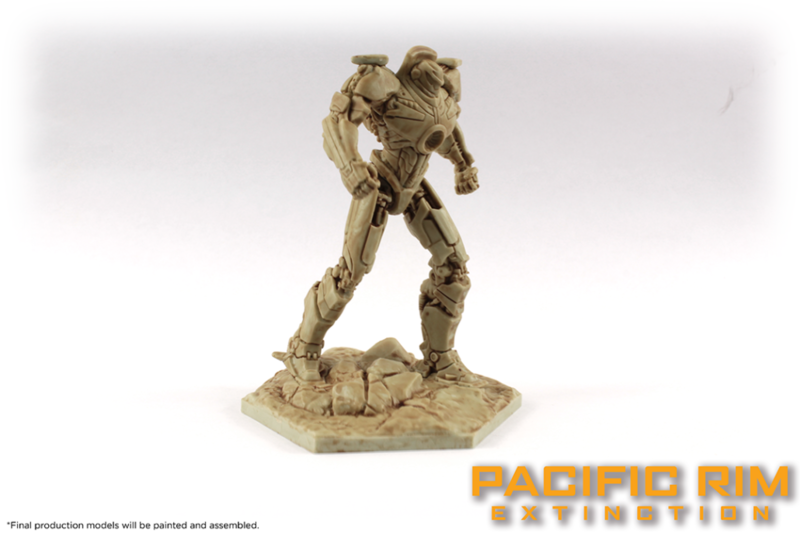 This week we present to you Gipsy Danger. Gipsy Danger is a true Jaeger legend and a shining beacon of humanity’s strength and courage in the face of insurmountable danger. 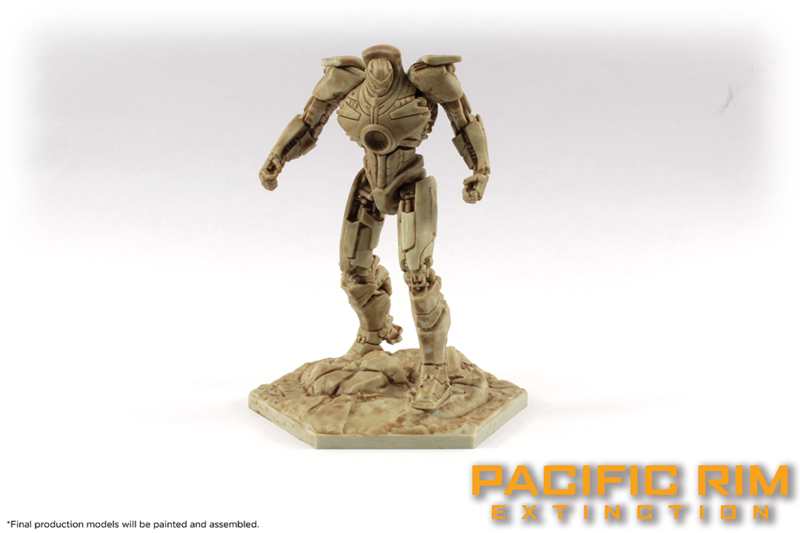 A veteran fighter, Gipsy Danger’s name has been etched into history for her heroic actions during the Kaiju Wars. Gipsy Danger uses highly-effective I-19 Plasmacasters that cauterize wounds on impact, preventing the spread of dangerous Kaiju Blue in battle. Gipsy Danger can also deploy a GD6 Chain Sword to quickly adapt in combat when engaging in close quarters. 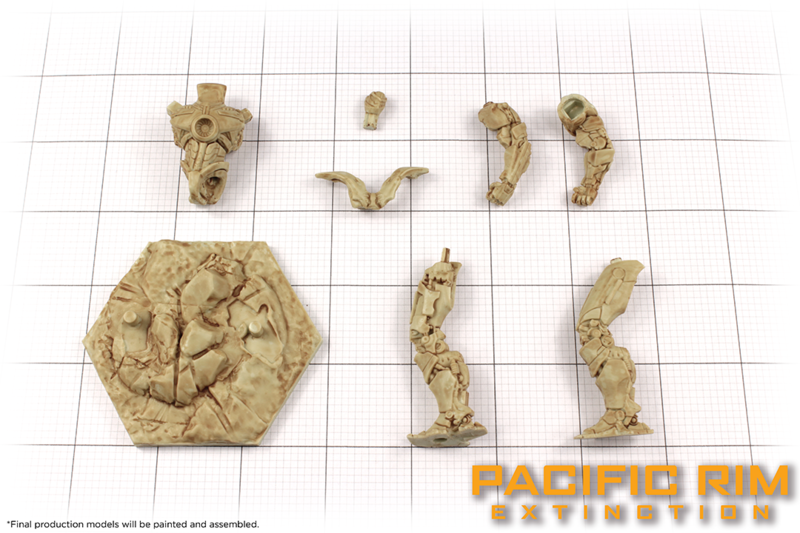 Here you can see the parts that makeup Gipsy Danger. 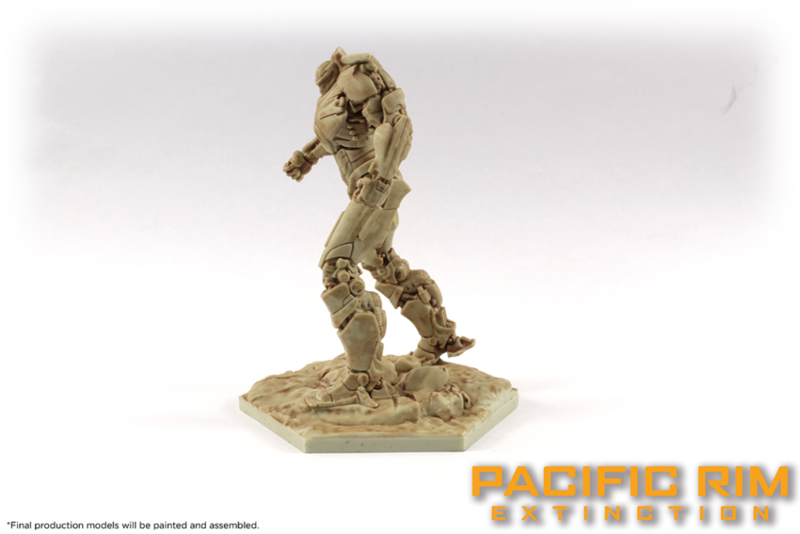 The miniatures are made out of several pieces to ensure the highest detail possible can be achieved in the production process, this also allows us to ensure that we can give the miniatures more dynamic poses.